Bathtime is a fun time for both parents and children. Splashing around, playing with rubber duckies, and making bubble beards forge deep bonds with our children and create fond memories that can be shared later on in life. But are you taking the right precautions to ensure your child’s safety in the bath? Many parents are unaware of the danger that bathtubs pose to their children. In fact, you might be surprised to learn that after pools, bathtubs are the leading product in your home to cause death in children ages 5 and younger. That is a disturbing, yet very preventable fact. And, with a little knowledge about how to keep your child safe during bathtime, you can easily prevent the unthinkable from happening. Let’s look at some of the leading ways you can prevent your child from injury during bathtime so that you can focus more on singing bathtime songs, mopping up water off the floor, and snuggling with your child in a warm, fuzzy towel after the bath water has drained. There are two main dangers lurking in the background during bathtime when it comes to young children. In what is supposed to be a playful moment between parent and child, the threat of drowning and scalding are present and need to be acknowledged. Young children do not understand the risks that water poses to their very survival. And, as they grow and become more confident in water, they have the potential to overestimate their abilities, even if just in the bathtub. In severe drowning cases, and sometimes after applying what you learned in your Baltimore CPR classes, the child may start breathing again but not regain consciousness for some time. Time spent in the hospital recovering from a coma will only prolong health complications. That’s why avoiding a drowning situation altogether is your best option. Each year over 100,000 people of all ages are treated with scald burns. Scalding is a term used to describe a burn to the skin that is caused by moist heat or hot vapors such as steam. This type of burn is typically classified as a second-degree burn, which results in slower healing times and a higher potential for scar formation. Though minor scalding burns from washing your hands in hot water may require simple First Aid treatment, in the event a child is placed in a bathtub filled with scalding water the need for prompt First Aid training, and potentially CPR, increases. Avoiding a near-drowning experience or a serious burn during bathtime is obviously something that all parents aim for. Unfortunately, it only takes one simple mistake or a split-second of time for an accident to occur. This is even true for the most conscientious of parents. Let’s look at some excellent tips that intend to help prevent bathtime injuries such as drowning and scalding. Be prepared. Have everything ready before you even begin bathtime with your child. This may include things such as shampoo, bubbles, toys, soaps, and towels. Check the water. Run the cold water first in the bathtub checking the temperature before warming it up. Then, check the temperature again as it warms before plugging the bath and filling it up. Make sure your child does not enter the bath until the entire tub is full and you are sure the temperature is appropriate. One helpful tip is to swirl the water before placing your child in the bath so there are no hot or cold spots. Practice good habits. Make it a habit to follow these bathtub temperature related habits after you have filled the bathtub up. First, turn the cold-water tap on quickly to flush out any hot water from the tap. Next, do not let young children supervise your smaller child during bathtime or let them fill the tub for you. Lastly, regularly check your hot water heater system temperature limits. Use common sense. Small children are often top heavy in the bath and require a bath chair to prevent slipping and falling under the water. Use an age appropriate bath chair, make sure your child is always within arm’s length of you, and consider using non-slip mats on the bathtub regardless of whether your child can stand in the bathtub or not. Do not move. 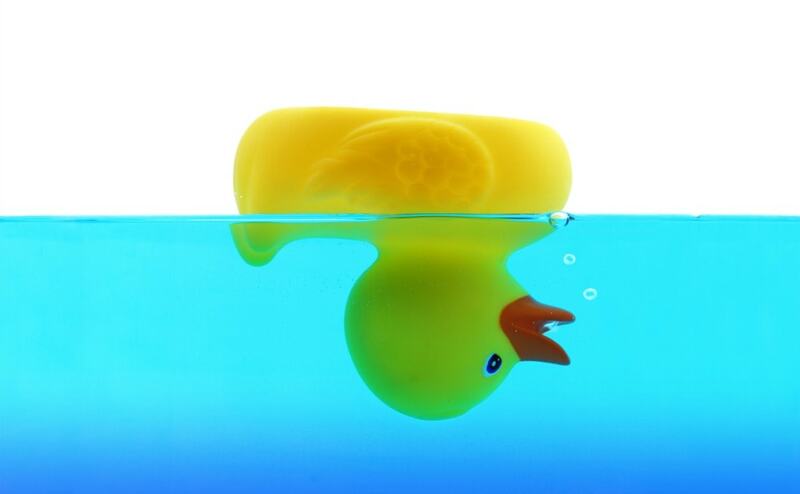 One of the number one reasons children drown in the bathtub is due to lack of supervision. Never, ever leave your child alone in the bathtub. Not even for one second to grab a towel, fold some laundry, or answer the phone. All it takes is one second for your child to submerge underwater and begin suffering the effects of drowning. Again, do not move. 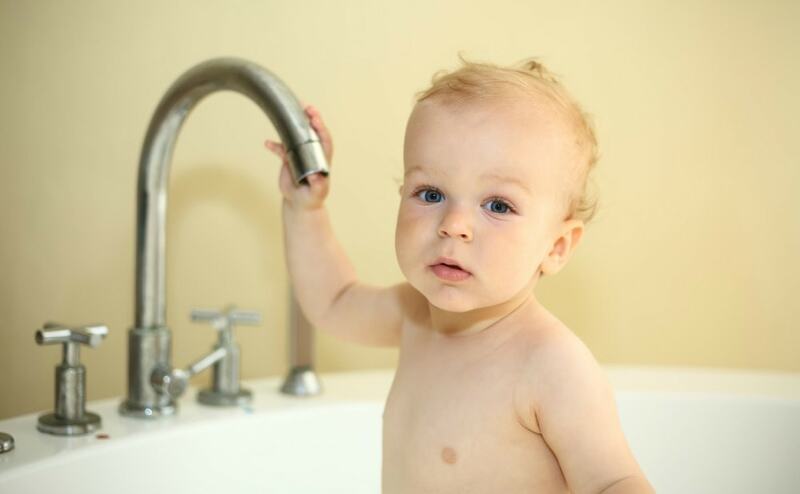 In addition to your child drowning when you step away from the bathtub, even for a second, it is quite easy for a child to turn the water tap on and scald them self with hot water. If you are called away from the bath for an emergency, wrap your child up in a towel and take them with you. 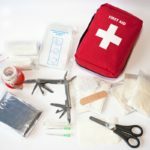 One of the best things any person can do when bathing young children is to take training courses in First Aid and CPR techniques. No one wants to think that a drowning or scalding accident will happen to his or her child. However, the truth is it happens often despite it being preventable. If you know what to do in the case of an emergency, thanks to your First Aid and CPR knowledge, you will be able to prevent the worst from happening because of a bathtime accident. CPR is crucial to saving any drowning victim’s life, especially that of a child. If you know and understand the basics of CPR and are able to perform CPR on a drowned child while you await paramedics to arrive, chances are higher the child will suffer less long-term effects of the drowning and survive. In addition, knowing the basics of burn First Aid care is good for any parent to know and understand. In the end, First Aid training for emergencies such as scalding will come in handy should your child touch burning hot water. 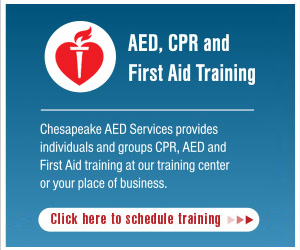 If you are in the Baltimore area and want hands-on First Aid and CPR training from professional and experienced emergency personnel, contact Chesapeake AED Services today. Or, if you prefer the digital route, check out which online First Aid and CPR courses we offer. We offer a variety of First Aid and CPR courses that are designed to fit your busy schedule. After all, knowing First Aid and CPR, especially as a parent, may come in handy in the case of an emergency and help you save a child’s life. Best Place to Survive Cardiac Arrest is Seattle, Washington!